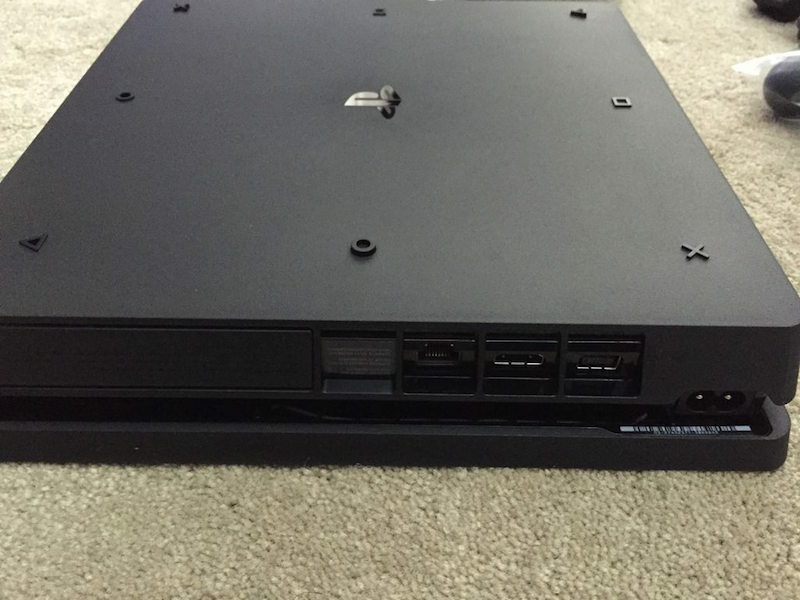 Images of what could be a slimmer, smaller variant of the PS4 have emerged on popular gaming forum NeoGAF and online classifieds site Gumtree. The console sports an all matte finish, with Eject and Power buttons on the left. While it still maintains the rhombus shape, the sharp edges are now rounded. 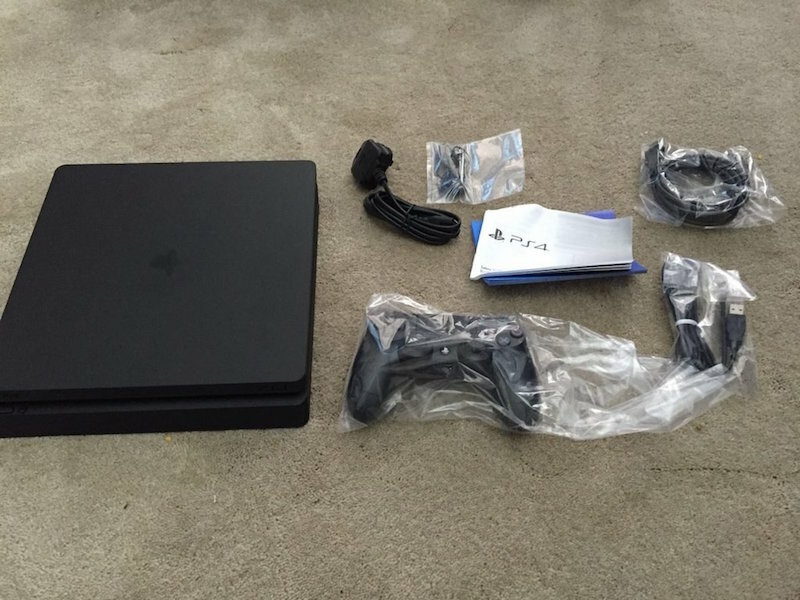 Rubber grips which were present at the bottom of the PS4 are nowhere to be found on the PS4 Slim. The optical out port which was present on the original PS4 is missing too. This means specific headsets and other audio gear will probably not be compatible with the PS4 Slim. Surprisingly, it will be available in a 500GB capacity, which is on the lower side given most game sizes. This has a model number CUH-2016A. This isn’t out of the realm of possibility. In the past we’ve seen the PS3 get a size reduction almost three years after release in 2009 while the PS1 and PS2 had smaller revisions to their hardware as well. And now it seems that the PS4 will receive the same treatment. In June, according to a report in the Wall Street Journal, Macquarie Securities analyst Damian Thong said Sony might also introduce a smaller PS4 along with the PS4 Neo. Thong believes they would be revealed at a game show in September. There has been speculation on what to expect from Sony in addition to the PS4 Neo, for which the company finally announced an event on September 7. Although Sony has yet to confirm the existence of the PS4 Slim, we won’t be surprised to see it making an appearance at the same event. Sony’s long-rumoured September PlayStation event, where the company is expected to launch a mid-cycle upgrade for the PS4 known as the PS4 Neo. The event is slated for September 7 at 3pm ET in New York City, which will be September 8 at 12:30am here in India. Incidentally, the Japanese electronics giant had also chosen NYC as the place to showcase the original PS4 back in 2013.